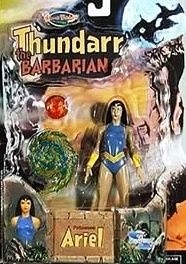 Wow, I do not know how as a boy in '80 that I missed all of this Thundarr merchandising. These figures were released, I think, maybe 10 years ago or so. 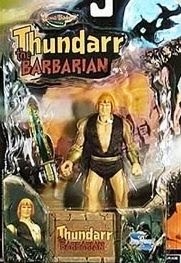 I actually bought all three at the time, despite being an adult by then, because "Thundarr" had been a favorite TV show of mine as a kid, and I had longed for (nonexistent) "Thundarr" action figures as a 10 year old back in 1981. Not being a toy collector myself, I pulled them all out of their packaging. 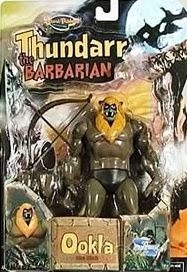 My non-expert opinion was that the Ookla and Ariel figures captured the characters almost perfectly, but that the Thundarr figure didn't quite capture his likeness as well. 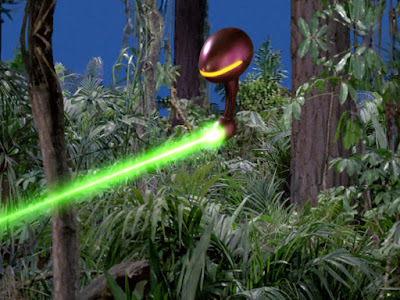 The toy version of his sun sword was a disappointment, too.